Vocalists revisit songs from the past for major reasons: They either hope to use the oldies as a means of drawing the of attention and garnering sales from music fans who are in a sentimental mood, or the singer has a deep and abiding connection to or love of a certain era or artist. Truth be told, artists who dig into the canon are probably driven by some combination of both motivations. Miki Howard’s approach to the material on her new album, Live In Concert, is driven more by motivation B than A. Sure, Howard hopes that including tracks such as “Love Won’t Let Me Wait” will strike a certain chord with Major Harris (or Luther Vandross) fans and shake loose some coinage. However, her history as a vocalist blessed with an old soul as well as her personal history with some of the tunes included on Live In Concert makes it clear that Howard was thinking about what each cut meant to her personally. “Blues In G,” the tune Howard used to introduce her band, is an extended riff on a track made famous by Billie Holiday, a legendary artist and influence whom Howard honored with a tribute album in 1993. “Georgy Porgy” is the song that became Howard’s musical introduction to the world as a member of the band Side Effect. “This Bitter Earth” along with “Until You Come Back to Me” are two tunes performed earlier by Aretha Franklin, with the latter appearing on Howard’s 1989 self-titled album. The show does include a few originals such as “Ain’t Nobody Like You,” “Come Share My Love,” “Beer For Breakfast” and a new track “Panther,” that includes a rap by the late 80s early 90s Oakland based rapper Too Short. But really, Live In Concert serves as an opportunity for Howard to indulge in something that she really enjoys – going back into the jazz, blues and R&B canon singing the songs that influenced and inspired her. There are not too many ways to conceal vocal weakness when taking on classic soul and jazz tunes, especially when doing them live, and Howard has too much respect for the canon to take these numbers on if she couldn’t do them justice. Howard definitely has a resonant and in some cases a raspy sound that comes with age, but that gives her an added level of authenticity on numbers such as “Blues in G” and “Try a Little Tenderness,” and it also allows her to give her first hit, “Come Share My Love,” more of a gospel/soul sound than the youthful innocence than the cut had when it became a hit back in 1986. 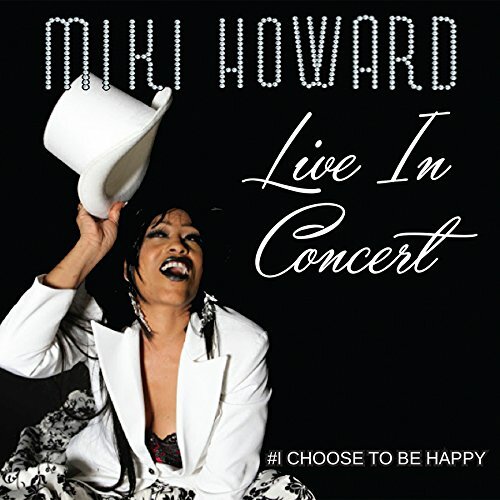 Live In Concert reveals Miki Howard as an artist whose love of this classic material is matched by magic that she can still bring to her very personal renditions. Recommended.